5 Simple Ways to Make Aromatherapy Part Of Your Life! 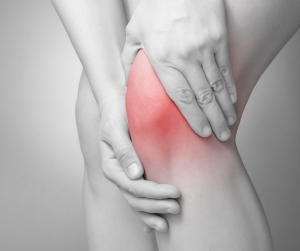 Part 3 – Natural Pain Relief. - Amphora Aromatics Ltd – Supplier of pure essential oils and aromatherapy Products. 5 Simple Ways to Make Aromatherapy Part Of Your Life! Part 3 – Natural Pain Relief. In this series of blogs we’ve been looking at how straightforward it can be to benefit from basic Aromatherapy in your every-day life. This post looks at natural pain relief – click to read more. Another great way to utilise the great benefits essential oils have to offer is to use them as a natural pain reliever. With the hectic lifestyles so many of us lead, it can be a real hindrance if we are afflicted by a headache or other aches and pains. Of course, if your problem is severe or ongoing you should seek medical help. However, if you want to find a natural alternative rather than reaching for the conventional painkillers, some of which themselves can have adverse side effects on the body, you can try using essential oils through massage, relaxation and vapor therapy to help treat those niggling pains. Although essential oils can’t offer some sort of miracle cure, Aromatherapy can gently and effectively soothe any aches and pains you may experience in day to day life. One of the key causes of pains such as headaches can be stress. This is something that Aromatherapy can really help with. You can help to keep yourself stress free and calm by regularly burning or vaporising essential oils. Finding time to allow yourself time to unwind and relax can help prevent headaches in the first place although modern life makes this harder and harder to achieve. The analgesic and antispasmodic properties of Rosemary make it a useful oil for treating aches and pains. It is particularly renowned for being able to treat headaches and is also used as a hangover cure. It’s a highly stimulating oil which can help to improve poor circulation and its warming effects can help soothe sore and tired muscles. Rosemary’s fresh and stimulating aroma is lovely to use in a natural headache treatment. You can either blend with a carrier oil such as Sweet Almond and give yourself a gentle head massage (better still if you can get someone else to do it). For a more convenient or mess free method, you can simply inhale from the bottle or dilute in a carrier oil and gently rub over the temples. If you suffer from back pain, Marjoram essential oil could be really beneficial to you. It’s also effective in treating pains often brought on by colds such as headaches, and fevers. It has good relaxing and antispasmodic properties make it great for soothing and warming joints which may feel stiff and overworked. The cooling and anti-inflammatory effects of Peppermint make it an effective and gentle treatment for headaches. The menthol contained in Peppermint oil is renowned for its ability to ease tension and soothe aches and pains. Its scent is highly stimulating so it’s not one to use too late in the evening (unless you need to keep going until the small hours!). Turmeric has been praised and used for thousands of years for its many medicinal uses. It is thought to be one of the world’s healthiest foods (primarily found in Indian cuisine) and is a prime ingredient in Ayurvedic medicine. Curcumin, the active ingredient in Turmeric is known to act as a powerful, yet gentle natural anti-inflammatory, anti-oxidant and has even been linked to cancer prevention, although further research is needed. In its oil form, Turmeric may offer effective pain relief through massage. We hope you’ve found this to be a useful blog and that we’ve shown you how Aromatherapy can be beneficial in offering a gentle treatment for milder pain. Please note that essential oils can’t offer a miracle cure if you are suffering from severe or ongoing pain. Please do seek professional medical help if this is the case. Don’t forget to check out our other blogs! Click my name at the top of the screen (or here) to read my other posts. Or click here to see posts from our Beauty Therapist Sophie Rouse. Click here to see posts from Aromatherapist Eugèny Couture.